Power Jack Replacement - Computer PRO Unltd. 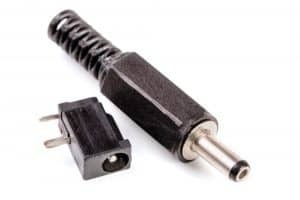 One of the more common failures on a laptop is the power jack. Either the jack’s themselves become busted, the jack’s solder break’s, or the housing holding the harness could break. Needless to say, all of this could cause you major headaches when going to use your laptop. Call us for a free estimate on a power jack replacement. Accidents do happen and power jack’s do break. If it is a really old laptop, it is most likely not worth the repair. We do service all makes and models of laptops and will be more than happy to look at the laptop with you. Many times we have seen laptops come in rigged up with electrical tape holding the power cords at just the right angle for the computer to receive power. This does not have to be the case. As with most parts of the computer, when it breaks you can get the items fixed. Power jacks are usually not easily assembled, so we don’t advise you to replace the jack yourself unless you are experienced or comfortable working inside of the notebook. If you are interested in getting your jack fixed too, feel free to call or submit a ticket. With all power jack repairs, we advise the customer to bring in or send their power adapter with the laptop. We have seen the actual issue is with the laptop charger instead of the jack. Bringing in the charger could result in a quick and painless fix.